A Happy New Year to all visitors and customers of imagico.de! The following image is still from 2013. 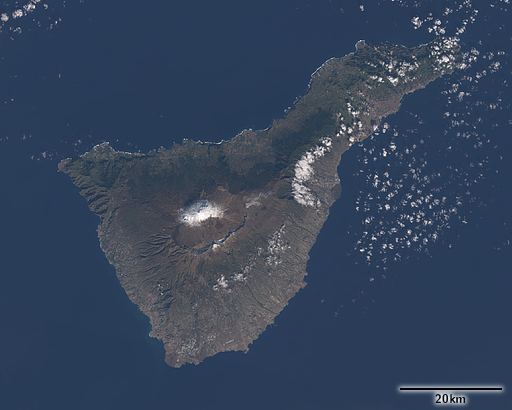 It shows the island of Tenerife with winter snow on the 3718m high Teide. 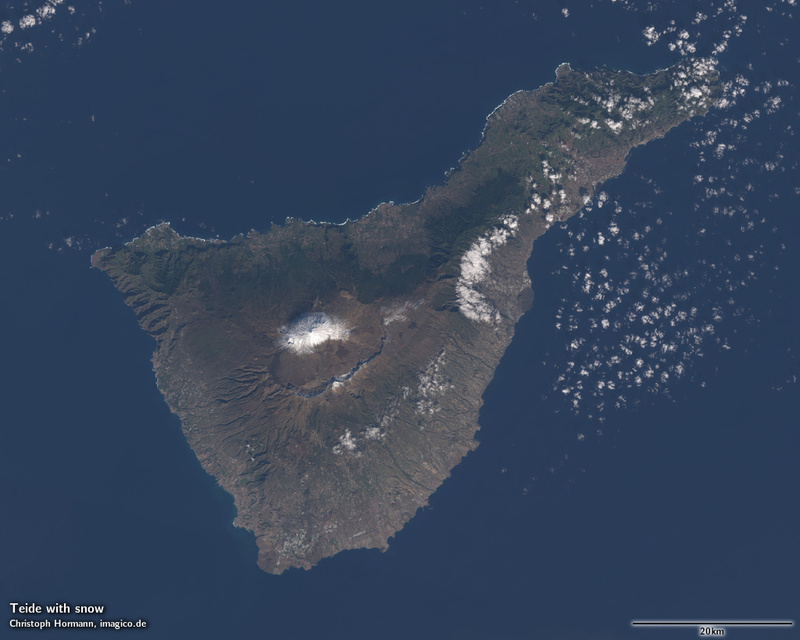 Snow is not uncommon on the higher parts of Tenerife as well as La Palma but rarely persists continuously throughout the Winter over larger areas.